Bratislava is the capital and the largest Slovakia city, seat of the Government, the President, and the National Council of the Slovak Republic. Visitors to Bratislava will most likely have a breathtaking experience of stunning view of Bratislava Castle. The most beautiful view is offered from the far shore of Danube River. Perched high above the Bratislava city, the castle with its four towers is the city‘s hallmark. The Danube River is Slovakia‘s biggest river and is dominated by five bridges: Old Bridge, New Bridge, Harbour Brige, Lafranconi and Appolo. The Old Bridge is the oldest bridge dating back to 1891 while the Appolo Bridge, built in 2005, is the newest colossal bridge boasting modern architecture. 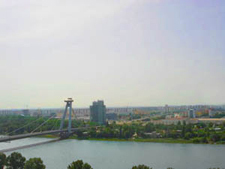 All five bridges link both sides/parts of Bratislava. It is not uncommon to spot the leisure or cargo ships on the Danube River. You can board the sightseeing ship on the shore right in the centre of Bratislava city. In the same centre, you will find the Old Town, a picturesque district of this historical city abuzz with locals and visitors as well as the local traffic. Cars, trolleybuses, streetcars, and buses mingle well with the pedestrians. Historical centre of the city, not too far from both the New and the Old Town seems protected from the city noise. Only a few cars, trolleys, or taxi cabs will drive by and in the next historic alley, you will find yourself enchanted by the charming atmosphere of the old, forgotten moments scribbled on the walls of historical buildings. The city’s dynamics is suddenly replaced by ancient history. 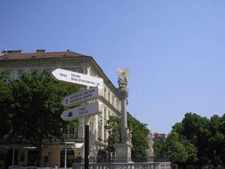 The two dominant parts of historical city Bratislava are just a minute‘s-walk apart. The first part worth seeing is the historical centre with a beautiful Slovak National Theatre Building on one side and Saint Michael‘s Gate on the other. Admire the St. Michael’s Gate and trod upon the paved streets of Primatial Square, Main Square, and Franciscan Square. Make sure you visit St. Martin’s Cathedral, the largest and the most distinguished church in Bratislava city. St. Martin’s Cathedral once served as a coronation site of the Hungarian monarchs. Another historically impressive part of the city is Bratislava Castle with its stunning views. Quiet alleys with a steep climb will lead you right to the castle. If you are not in the mood for a longer and steep walk, the castle is accessible by a trolley bus departing from Hodza Square. 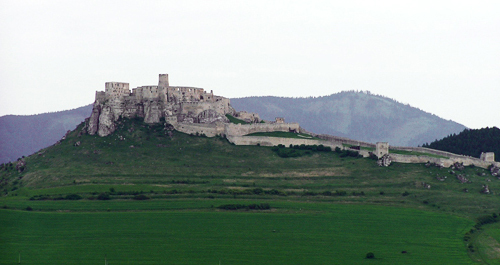 The castle offers spectacular views. For example, the city’s highest restaurant Ufo located on the pillar of the New Bridge will most likely captivate your interest. The restaurant is accessible by the elevator. The other sightseeing attractions worth seeing are awaiting you not too far from the historical part of the city, right in the heart of Bratislava. If you consider a sightseeing tour, you may wish to start in the city’s historical district, admire the architectural wonders, and finally get acquainted with modern Bratislava city and its galleries, museums, busy streets or visit the shopping malls (centres). Kids will definitely enjoy a visit to the ZOO with its famous Dinopark. Enjoy a sightseeing cruise or climb aboard a city trolley for an enchanting ride around the city. 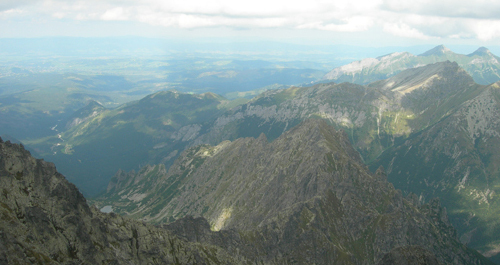 You should not miss going to the movies or visiting a theatre while in Bratislava either. The historical centre of Bratislava city is located in the Old Town. Obchodna Street is the city’s favourite shopping location filled with the stores and abuzz with trolleys. Just hop off the trolley right in front of your favourite store and start shopping. 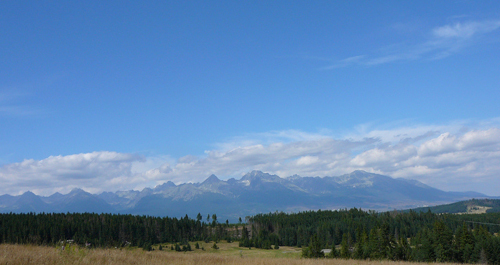 The Slovak National Uprising Square (Namestie SNP) is also nearby. Here you can plunge into the city noise. Obchodna Street merges into the Hurban Square, not far from the New Bridge with its famous UFO restaurant. Perched high on one of the bridge pillars, the UFO offers spectacular view of the city and is accessible by elevator. If you decide to reach the SNP Square‘s far side, you will soon come to the Old Bridge and the marina with private boats. 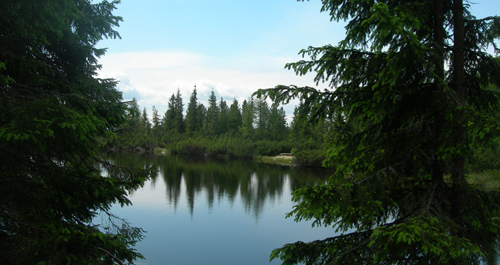 The marina is located on the Fajnorske Square, only a short distance from the Safarik Square and the Comenius University. Sightseeing cruises offer tours on the Danube River, trips to the Devin Castle as well as the international sightseeing tour with nearby destinations such as Vienna and Budapest. The Slovak National Gallery can be found in the Esterhazy Palace on Stur Square and on Riecna Street, Razusovo nabrezie. 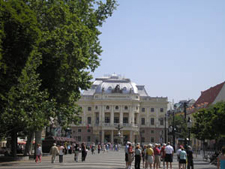 The city of Bratislava has several theatres, for example, P.O. Hviezdoslav Theatre, Nova Scena, but the most famous one is the Slovak National Theatre on the Hviezdoslav Square. The theatres offer shows daily. Polus City-offering a vast array of stores as well as the fast food restaurants, banks, cafes, casino, and a movie theatre. Aupark- featuring restaurants, billiards, bowling, fast food restaurants, and a movie theatre.